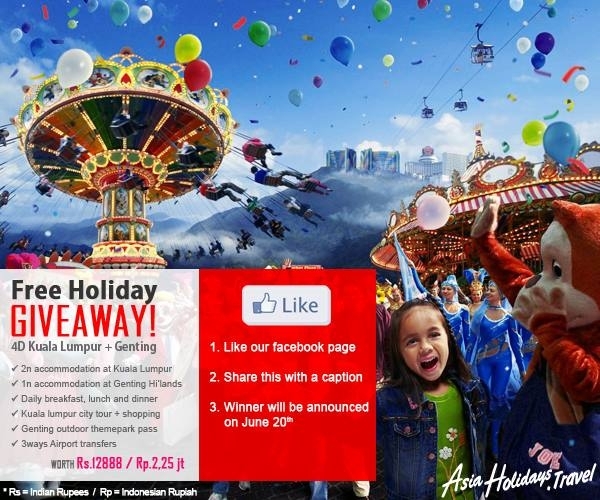 Thanks to AsiaHolidays.travel, you can win a free trip to Malaysia. The rules are very simple. Just like their Facebook page and share the above image with a suitable caption. And do not forget to read their terms and conditions.